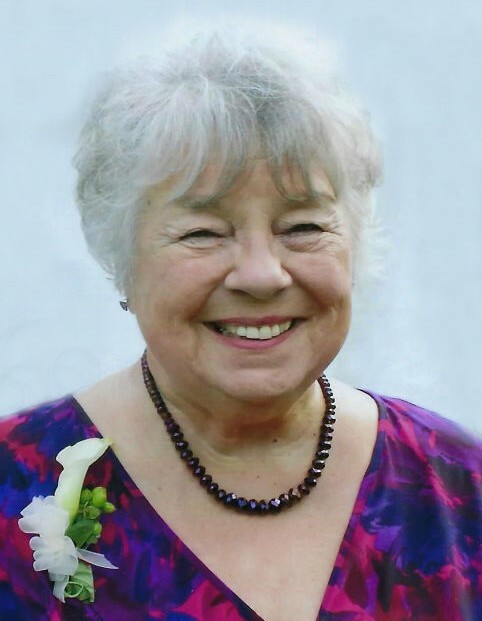 Donna Lee Dawson, age 77, of Rapid River (Stonington), passed away Saturday morning, August 18, 2018 at Lakeview Assisted Living in Gladstone, surrounded by her loving family. She was born on November 7, 1940 in Chicago, IL, the daughter of Richard and Mildred (Weyforth) Greenlaw. Due to health issues as a young girl, the family moved to the small town of Elk Rapids, MI during the summer of 1949. Donna was loved by many people, especially her peers in high school as she was both Elk Rapids High School Homecoming Queen and Prom Queen. She was also named the very first Miss Elk Rapids. Donna graduated from Elk Rapids High School in 1958, just weeks before she married the love of her life, Marvin W. Dawson on June 21, 1958 in Traverse City, MI. Marvin preceded her in death two years ago on June 5, 2016. Together, the couple shared nearly 58 years of marriage and raised three wonderful children, Kimberly, Pamela, and Douglas. Donna was employed as a secretary at Associates Insurance Company in Traverse City for a few years and later for the Traverse City State Hospital. The Dawson family relocated to the Upper Peninsula in 1972, settling in Gladstone, due to her husband, Marvin’s, employment. Donna was employed as a case worker for the Aid for Dependent Children (ADC) in Escanaba until her retirement in 1992. Donna was very fortunate to have been able to retire at a young age, which allowed for Marvin and Donna to be active and enjoy many years of fun activities including; boating, skiing, camping, snowmobiling, four-wheeling, and traveling to see the world. Marv and Donna enjoyed wintering in Gulf Shores, AL for many years where they were also part of a Michigan Club. Throughout her life, Donna was a member of the Gladstone Golf Club for 45 years serving as a board member for several terms, member of First Lutheran Church of Gladstone where she was also part of the Grace Circle, for many years she was a member of the Gladstone Yacht Club, she served on the board for the U.P State Credit Union, member of the Red Hat Society, her ’58 Girls Club, the State Employees Retirement Association, and for the past 17 years was a member of Trinity Lutheran Church in Stonington where she was part of their bible study group and Trinity’s Ladies Aid group. Donna always had a story to tell. One could often sit back and listen to her many years of knowledge, advice, and experiences. Family meant the world to Donna. She was especially proud of her children and grandchildren. Donna Lee Dawson is survived by two daughters, Kimberly (Chris) Anderson of Escanaba, and Pamela (Paul) Bialik of Gladstone; one son, Douglas Dawson of Gladstone, six grandchildren, Kristen Bialik, Kayla (Evan) Lindell, Laura Anderson, Jennifer (Jacob Peterson) Bialik, Christina Anderson (fiancé Nicholas Kobasic), and Daniel Dawson; as well as many brothers and sisters-in-law, nieces, and nephews. In addition to her parents and husband, Donna was preceded in death by her brother, Richard “Rick” Greenlaw. Visitation will be held from 1:00 p.m. to 3:30 p.m., Thursday, August 23, 2018 at the Anderson Funeral Home in Gladstone. Funeral services celebrating the life of Donna will follow at 4:00 p.m., Thursday, at First Lutheran Church in Gladstone with Rev. Diane Srutowski of Trinity Lutheran Church officiating. A luncheon will be served at the conclusion of the funeral service in the church fellowship hall. Burial will take place in Fernwood Cemetery in Gladstone. The family respectfully requests memorials be directed to the Delta County Cancer Alliance or the Delta Animal Shelter.